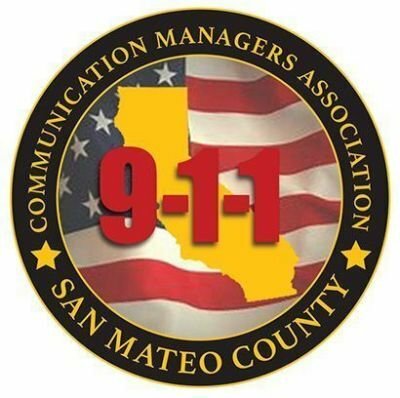 Established in 1988, the Communication Managers Association of San Mateo County (CMA) is a non-profit organization dedicated to promoting and enhancing the profession of public safety dispatching. Through innovative training, exploring new technologies and collaboration with state and local agencies, we strive to assist our members by providing support to our communities and law enforcement professionals. The CMA members are comprised of Communication Managers/Supervisors from various governmental agencies, throughout the county, drawn together to assess the needs of 9-1-1 emergency communications. As members of the CMA our mission and goals are based on our shared values of professionalism, ethical behaviors and integrity. Using sound decision-making we promote the advancement of the public safety dispatcher profession through mentoring, legislation involvement, ongoing training and recognition. APCO 2019, APCO International’s Annual Conference & Expo, is the premier event for public safety communications officials, from frontline telecommunicators to comm center managers to public safety communications equipment and services vendors. Starting August 11, APCO 2019 offers four days of educational sessions, committee meetings and special events, paired with two full days of exhibits. Click on the link below to read the details. Have you ever thought about becoming a 9-1-1 Dispatcher? If so, this is your first step towards a new career. Agencies all over San Mateo County are recruiting and require the completion of this test. Click on the link below to find more information and upcoming test dates. The CritiCall Test may be required by some agencies. Examinees may want to use the exam as a valuable hands-on tool to evaluate their abilities and overall interest in a career as a public safety dispatcher. Click on the link below to view upcoming dates. Our Mission The purpose of CALNENA is to foster a reliable and continuously improved emergency telephone number network through research, planning, training and education; represent its members before communications regulatory agencies and policy making bodies; and strive toward citizens having immediate access to emergency public safety services so that safety of human life, protection of property and civic welfare are benefited to the utmost degree. Click on the link below to get further information and register for our conference. Located on the beautiful shores of Lake Tahoe, RIMSCON 2018 will be packed with basic and advanced training courses, the famous "Wish List", multiple social and networking events, version previews and other exciting opportunities. 2018 California CLETS Users Group Training and Technology Seminar Please click on the link below to register. Advanced Dispatcher Update: Dispatch Response to Active shooters & Violent Intruders Tuition: $109.00 This Course is designed for experienced Public Safety Dispatchers and Dispatch Supervisors. It partially fulfills the CA POST Commission Regulations 1005 and Procedure D-2 requirement that all Public Safety Dispatchers and Supervisors receive 24-hours of Continuing Professional Training every two years. Please join us in honoring all the 9-1-1 dispatchers within the County of San Mateo. Text-to-911 is the ability to send a text message to reach 911 emergency call takers from your mobile phone or device. Members of NPSTC are calling for our support of the "Don't Break Up the T-Band Act (H.R. 5085). Congresswoman Norma Torres, who previously worked as a 9-1-1 operator, wants to upgrade the status of 9-1-1 operators from clerical workers to first responders. 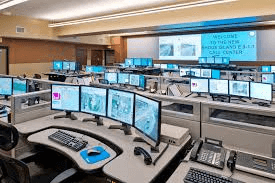 2019 will bring a number of technology developments for public safety communications. While we can't predict every newsworthy item, several deadlines are on the horizon for emergency alerting. 9-1-1 location accuracy and Real-Time Text. 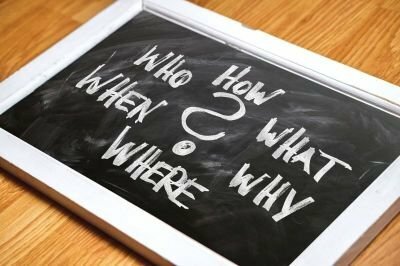 This article will highlight what to expect in the coming year. The San Bruno Police Department has a long standing tradition of small-town service with big-city dedication to public safety. Public Safety Dispatchers are responsible for public safety dispatch and related records management activities. This position operates on a 24-hour, 365 days per year basis, and may be assigned to either a day, swing, or graveyard shift on a regular, rotational basis that includes nights, weekends, and holidays. Public Safety Dispatchers perform a wide range of duties involving radio, telephone, and computers, applying various procedures and codes. Dispatchers receive and transmit emergency and non-emergency telephone and radio traffic as well as process communication reports, records and radio logs, while maintaining a high level of confidentiality. Dispatchers may also support the Police Department by performing clerical tasks, training, assisting with fingerprinting, and being accountable for financial transactions. This position is integral in supporting the goals and objectives of the City and Police Department. Possession of a high school diploma or GED equivalent. Additional related college course work or degree preferred. Typing certificate issued within the last year verifying minimum typing speed of thirty-five (35) net words per minute with a maximum of nine (9) errors. Typing certificate must be submitted with application to be considered. Online typing certificate permitted with application, formal test will be administered to final candidate. Completion within the last year of the POST Entry Level Dispatcher Selection Test Battery with a score of 58 or above. Certificate must be submitted with application to be considered. The ideal candidate will possess the ability to record and transmit information with speed and accuracy, "multi-task," quickly learn new material, make quick and sensible decisions, learn from constructive criticism, possess a high commitment to quality service, and participate in a team approach to law enforcement. 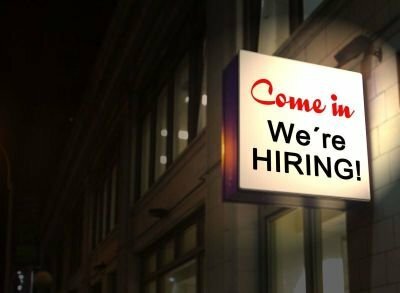 The candidate will be able to successfully complete the department training program, operate a computer and complex software programs, type at a net speed of 35 words per minute, follow and give instructions, and gather information via telephone and in person. The ideal candidate will be respectful and sensitive towards the cultural and ethnic diversity of the community, and will work well with the general public under stressful or emergency conditions, and be able to speak, write, and read clearly and fluently. After reviewing applications and supporting documentation, candidates that best meet the Department’s needs will be invited to oral interviews. 2) Typing certificate issued within the last year verifying minimum typing speed of thirty-five (35) net words per minute with a maximum of nine (9) errors. Online typing certificate permitted with application, formal test will be administered to final candidate. Applications without all documents attached will be considered incomplete. For technical assistance, please contact Human Resources at (650) 616-7055. Public Safety Dispatchers are responsible for public safety dispatch and related records management activities. Per-Diem Dispatchers may be called to work either a day, swing, or graveyard shift on a per-diem basis that includes nights, weekends, and holidays. Public Safety Dispatchers perform a wide range of duties involving radio, telephone, and computers. Dispatchers receive and transmit emergency and non-emergency telephone and radio traffic as well as process communication reports, records and radio logs, while maintaining a high level of confidentiality. The ideal candidate will possess the ability to record and transmit information with speed and accuracy, "multi-task," quickly learn new material, make quick and sensible decisions, learn from constructive criticism, possess a high commitment to quality service, and participate in a team approach to law enforcement. The candidate will be able to successfully complete the department training program, operate a computer and complex software programs, type at a net speed of 35 words per minute, follow and give instructions, and gather information via telephone and in person. The ideal candidate will be respectful and sensitive towards the cultural and ethnic diversity of the community, and will work well with the general public under stressful or emergency conditions, and be able to speak, write, and read clearly and fluently. Knowledge of RIMS CAD is desirable.